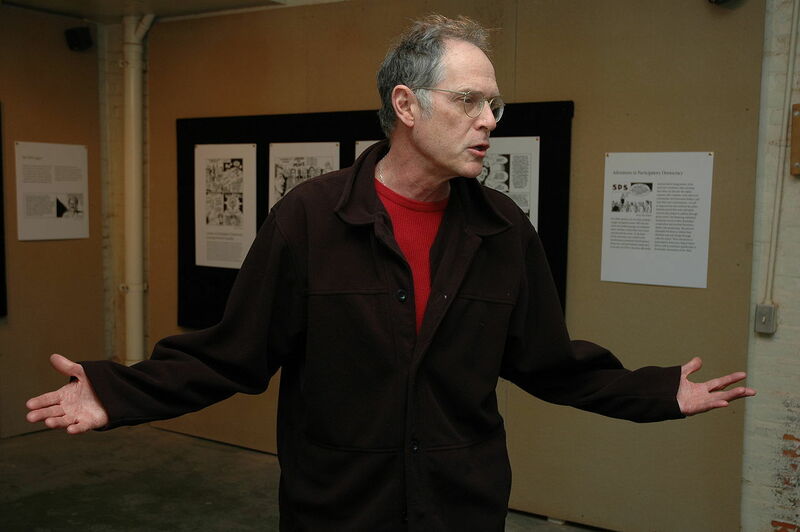 It is rare for a scholar to have the opportunity to see a little-known archival document come to life on the stage. To say that I was excited to see the New Yiddish Rep’s Yiddish-language production of Death of a Salesman this fall would be an understatement. I have spent the past two years poring over scripts from Joseph Buloff and Luba Kadison’s Yiddish productions of Death of a Salesman in the 1950, 60s, and 70s and related correspondence, reviews, and ephemera. (My article about the play’s history appeared in Modern Drama earlier this year.) 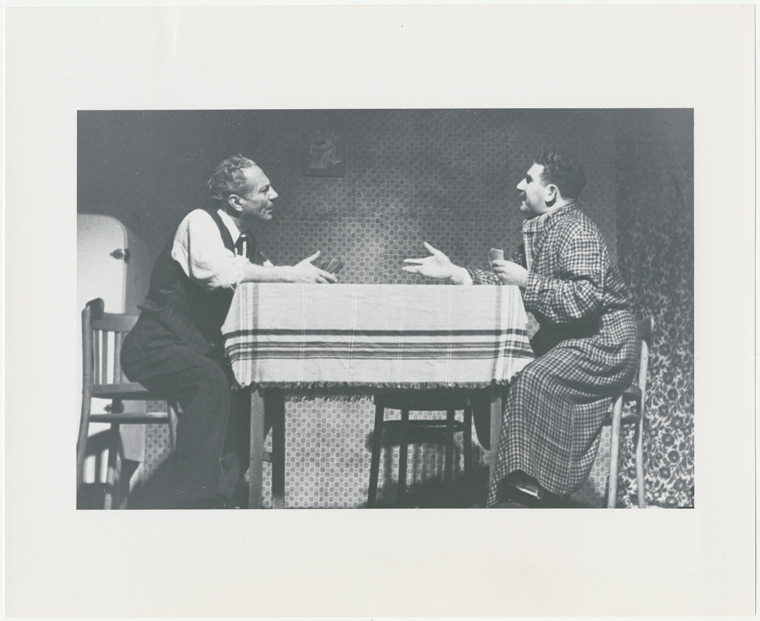 I’d examined dozens of photographs of these productions looking for clues about how Buloff and Kadison translated and adapted Arthur Miller’s iconic drama, and how they played the roles of Willy (“Vili” in Yiddish) and Linda Loman, respectively. I’d imagined how they might have moved across the stage: Willy gesticulating vigorously, Linda’s confident stride and penetrating gaze. Even so, I was not prepared for the power of this production. In 1951, George Ross wrote in Commentary that Buloff and Kadison’s Yiddish Toyt fun a seylsman was “larger and more significant than Death of a Salesman by the discovery of Jewish character and Jewish situation in the play.” In 2015, New Yiddish Rep’s Toyt fun a seylsman is more intimate and emotionally raw than any Salesman I’ve ever seen. 1 1 Full disclosure: I was a historical consultant to the dramaturg for this production. Sixty-four years later, the Yiddish version of this iconic American play still packs a remarkably strong emotional punch. Let’s go back for a moment and consider how Death of a Salesman got adapted into Yiddish in the first place. 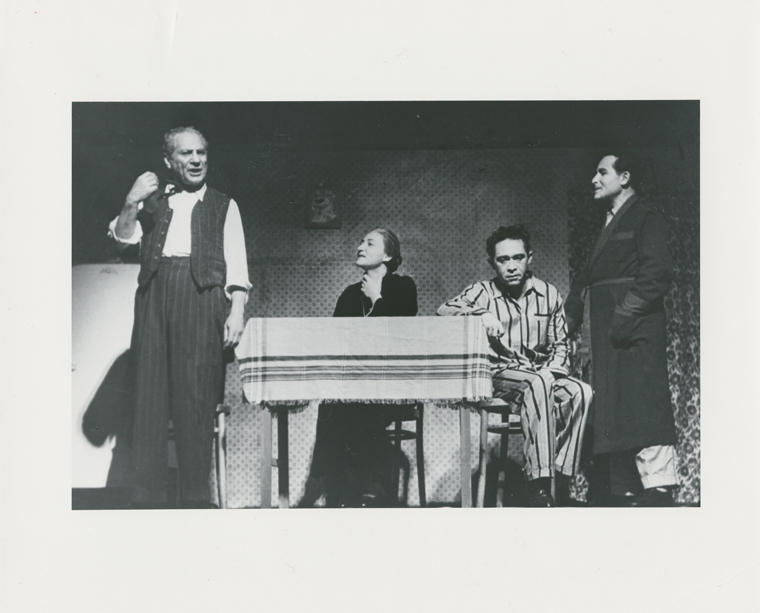 When Joseph Buloff and Luba Kadison saw Death of Salesman on Broadway in 1949, they had come a long way from their origins as amateur Yiddish performers in Vilna. After decades of successful Yiddish acting careers with the world-renowned Vilna Troupe, the Yiddish Art Theater, and other companies, the husband-and wife acting team had achieved what many only aspired to. 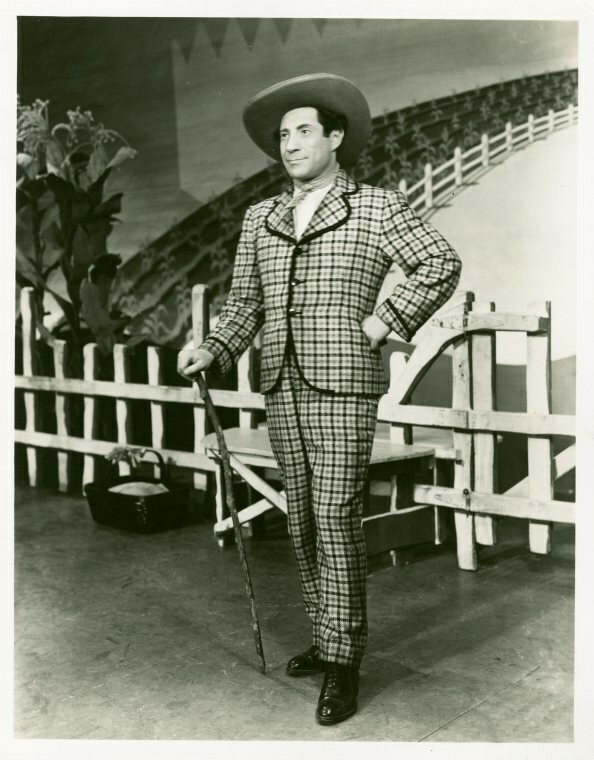 In 1943, as Yiddish theaters in New York were closing one after another, Buloff successfully moved to the English-language stage, making his own Broadway debut as Ali Hakim in the original production of Oklahoma! Joseph Buloff as Ali Hakim in Oklahoma! But sitting in the plush seats of the Morosco Theater, watching Arthur Miller’s celebrated play, the couple made the improbable decision to return to the Yiddish stage. In Salesman, they saw an all-too-present absence of Jewishness in the portrayal of the Lomans that inspired an idea. Why stage Death of a Salesman in Yiddish? As Buloff told the Yiddish press, the answer was simple: “Arthur Miller is just a Jewish guy who’s afraid of that which is Jewish.” In other words, for Buloff and Kadison writing and producing Toyt fun a seylsman was about creating the play that Arthur Miller should have written in the first place. Together, the team translated the play and brought it to Buenos Aires. Their June 1949 production was the first production of the play in Argentina in any language. The run was so successful that it inspired a group of Argentinian actors to stage their own Spanish translation of the play, modeled upon Buloff and Kadison’s Yiddish version. Two years later, Buloff and Kadison brought their production to Brooklyn. This time, Arthur Miller himself attended, sparking a lifelong friendship between the Yiddish actors and the famous American playwright. Buloff quipped to reporters that when Salesman premiered on Broadway in English, the majority of the audience was sure they were watching the tragedy of somebody else. Only in the Yiddish Seylsman could they realize that they were actually watching themselves. A word of caution: Death of a Salesman in Yiddish is no translation, though it may initially seem that way even to those most familiar with the original. Approximately ninety percent of the text of the Yiddish version was translated in precise, exacting loyalty to Miller’s words. But Buloff and Kadison’s script also included strategically placed deviations that reanimated the Lomans’ Jewish specificity. Where Miller’s Lomans avoided the question of ethnic origins entirely, Buloff and Kadison’s characters simultaneously acknowledge and deny their Jewishness. For example, Willy constantly spouts Yiddish idioms even as he begs his son not to do so, especially not in public. When Biff says “zol ikh azoy visn fun tsores” while preparing for his business meeting, his father explodes: “What kind of language is that? That’s how a boy speaks. Speak intelligently. A man who wants fifteen thousands dollars a year ought to know how to talk.” The overall effect is of a family that is actively trying to mask its Jewish identity but frequently failing in the endeavor. The New Yiddish Rep’s production is modified only slightly from Buloff and Kadison’s postwar adaptation. In Buloff’s 1949 and 1951 productions, Toyt fun a seylsman was presented without subtitles to a primarily Yiddish-speaking audience. New Yiddish Rep wisely opts to include large English supertitles (placed on either side of the stage so that all audience members can see them no matter where they sit) for non-Yiddish speakers—presumably a larger percentage of the audience than in 1951 Brooklyn. Director Moshe Yassur also stages the play with virtually no set, a sharp contrast to Buloff and Kadison’s exact reproduction of Broadway’s two-story Loman house. In the New Yiddish Rep production, the stage is framed by a city skyline—and nothing else. There is no house, no restaurant, no office. Instead, the Lomans live out their tragedy on a bare stage with a simple table and chairs, and the audience must imagine the rest. The simplicity of the set forces the audience to hone in our attention on the Yiddish words, on the interplay between the characters, and on the actors who have the freedom to play extremely close to the audience at pivotal moments (the dream sequences, Biff’s discovery of his father’s infidelity, Willy picking up his suitcases for the last time). The intimacy of the staging brings the emotional texture of this script to the fore. The minimalist set design also allows New Yiddish Rep to foreground the placement of the supertitles as the largest set piece, a boon for those who don’t speak Yiddish. Finally, Yassur added English to pivotal scenes in order to highlight the generational chasm between Willy Loman and his sons. It is jarring when characters break into English and the supertitles stop, and Yassur deftly uses this effect to change the rhythm and pacing of certain scenes. Early on in the play, Biff and Happy switch to English to boast about their sexual escapades. When they switch back into Yiddish, we are reminded that these are characters who must constantly navigate between two worlds—the Yiddish-speaking, immigrant world of their family and the fast-paced American world that their parents do not understand. Later on, when Biff and Happy take their father out to dinner only to abandon him, the boys switch languages rapidly as they court two American women in English while trying to placate their father in Yiddish. The conflict between the Loman boys and their father is as much linguistic as it is interpersonal. When the boys leave the restaurant, speaking English and laughing with the women, it is both a familial betrayal and a linguistic one. Biff and Happy have chosen the world of America over their father’s, and what’s worse, they have abandoned him in a land where he does not speak the language. This conflict is all the more resonant for being performed before a contemporary English-speaking audience whose immigrant parents, grandparents, and great-grandparents likely made a similar linguistic choice. But most of all, Death of a Salesman in Yiddish succeeds because the acting is superb. Avi Hoffman’s Willy Loman is a moving portrait of a man whose catastrophic break with reality is unfolding in slow motion. In the intimate setting of the Castillo Theatre, without a large set to interrupt our view, Hoffman’s penetrating gaze reaches every corner of the space. Suzanne Toren’s Linda exhibits a quiet strength that is heartrending, especially in the final scene. Lev Herskovitz’s Happy deftly switches between Yiddish and English, subtly changing his demeanor along with his language. But it is Daniel Kahn’s Biff who steals the show. From the very first scene, Kahn’s Biff is a timebomb waiting to explode. Kahn provides a richly nuanced portrayal of a man whose feelings of love and disgust for his father are utterly intertwined. This production is as much about Biff as it is about Willy Loman. In 1951, Buloff and Kadison’s audience for their Yiddish Salesman was primarily Yiddish-speakers or those but one generation removed. For these spectators, Death of a Salesman in Yiddish offered a kind of linguistic homecoming, and a provocative statement about the continued relevance of Yiddish theater against prevalent narratives of its imminent decline. But what might inspire a theatergoer in 2015 to seek out this production? Why this play in Yiddish, and why now? I attended the production in the company of a former student-turned colleague, a brilliant young theater director from Puerto Rico who had never before seen a Yiddish play. During intermission, we talked about why she had come. Death of a Salesman in Yiddish makes this iconic American play a story about immigration, about the challenges of moving between linguistic spheres, of negotiating between the language and culture of your family and community and that of the outside world, my colleague replied. What could be more quintessentially American than that? The New Yiddish Rep has done it again. Like Waiting for Godot/Vartn af Godot, this is a high quality production with excellent acting and thoughtful direction. Whether you know Yiddish or not, this is a Salesman worth seeing. The New Yiddish Rep has promised to revitalize the Yiddish stage, and revitalize it they have. So far, their greatest successes have been Yiddish version of non-Yiddish canonical dramas. I would like to see them have as much success with a production that isn’t a translation, that doesn’t have “in Yiddish” appended to it. But with productions like this, I believe they are setting the stage, so to speak, for a more diverse repertoire. As Toren’s Linda Loman says, me muz akhtung gebn—we ought to pay attention. Death of a Salesman’ in Yiddish runs at the Castillo Theatre on 42nd Street through November 22nd. Information and tickets at www.newyiddishrep.org. Full disclosure: I was a historical consultant to the dramaturg for this production. Caplan, Debra. “The Triumph of Vili Loman: Death of a Salesman at the New Yiddish Rep.” In geveb, November 2015: https://ingeveb.org/blog/the-triumph-of-vili-loman-death-of-a-salesman-at-the-new-yiddish-rep.
Caplan, Debra. 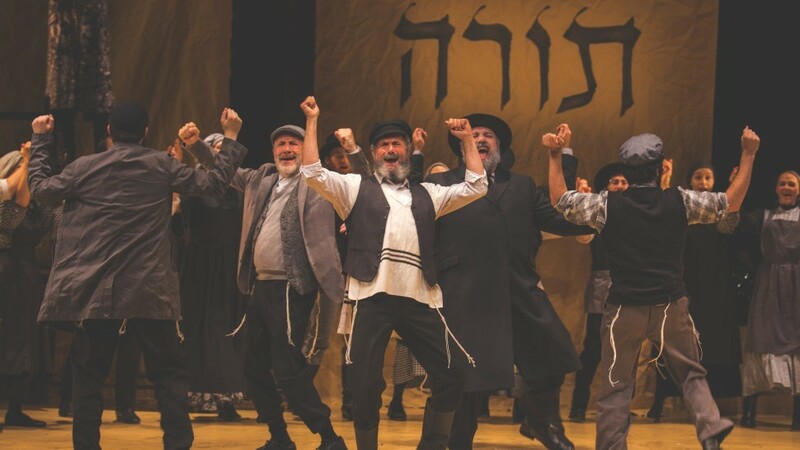 “The Triumph of Vili Loman: Death of a Salesman at the New Yiddish Rep.” In geveb (November 2015): Accessed Apr 22, 2019. 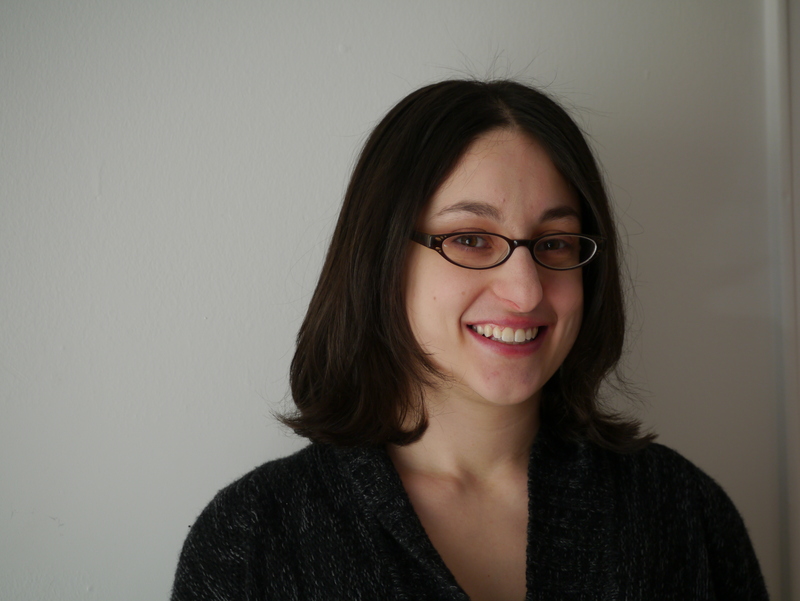 Debra Caplan is Assistant Professor of Theatre at Baruch College, City University of New York.